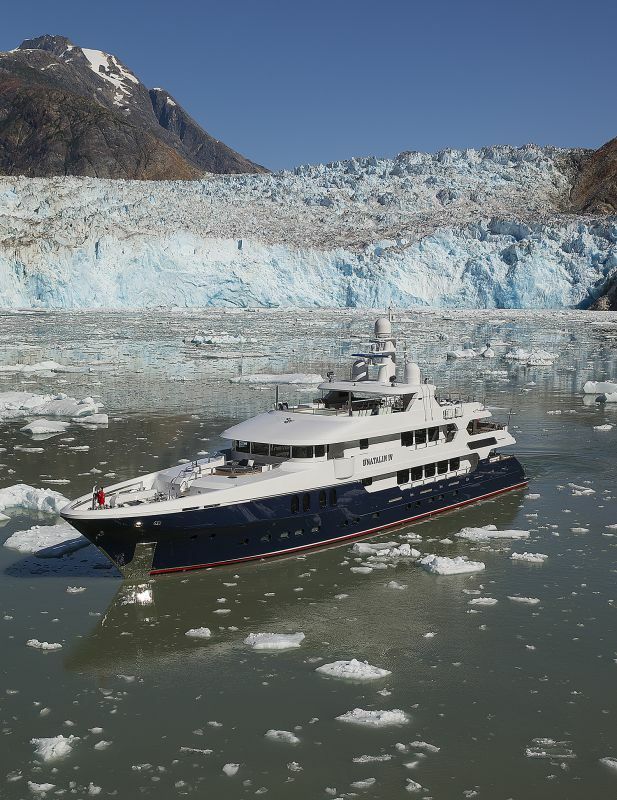 A YACHT OWNER'S SHIPYARD Nearly four decades ago a successful contractor named Dave Christensen couldn’t find a rugged, beautifully finished U.S.-built yacht, so he decided to build his own. 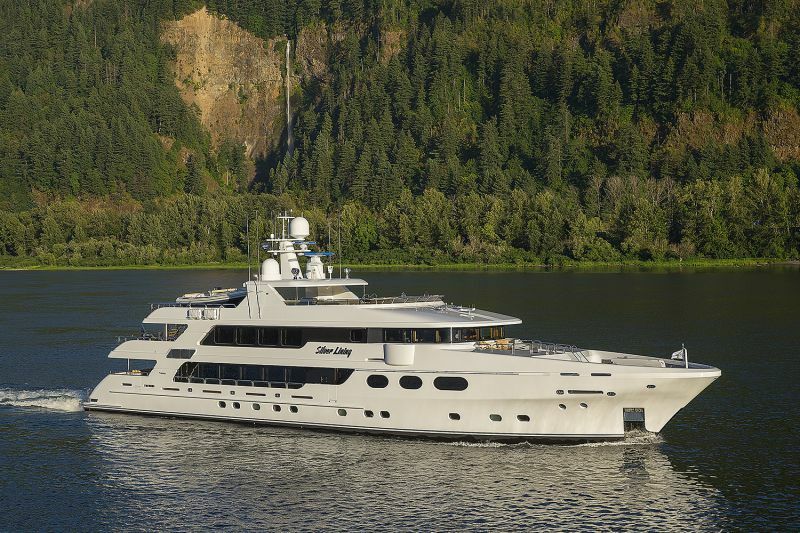 When he succeeded, he decided he could offer the same quality and reliability to other yacht owners, and so Christensen Shipyards was born. Today, Christensen continues the company’s original founding vision to deliver beautiful, ocean-going yachts to other fellow yachtsmen. Today, Christensen is led by two owners – who have owned six Christensen yachts – and are committed to elevating Christensen Yachts to new heights in quality and the building experience. With nearly 1,000 man-years of boat building experience under one roof, Christensen offers an incomparable workforce. Each of our 120 boat builders is committed to honesty and transparency to ensure each boat is not only built to the highest quality, but delivered on time and on budget. 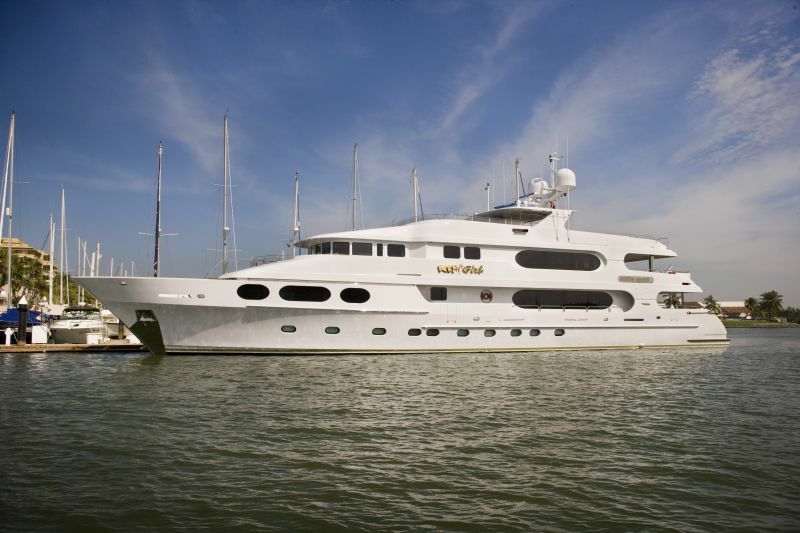 RELIABILITY Fiberglass construction results in significantly less maintenance, freeing the crew to focus on keeping the yacht running like a five star hotel. Metal hulls often result in blistering, rust, corrosion and the growth of mold. 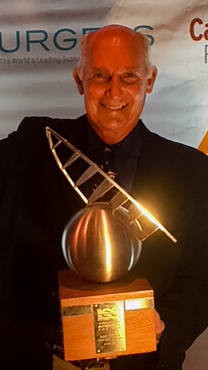 Every captain and yacht manager knows that the success of the yacht for its owner and guests relies on its crew. With more crew man-hours available to enhance the yachting experience, a composite fiberglass boat offers a distinct advantage in overall success for the vessel. COMFORT Composite hulls are fully insulated, thus eliminating the “double boiler” effect, especially in warmer cruising climates, which in solid laminate and metal boats results in significant condensation that can lead to corrosion, damage of interior finishes and mold infestation. In addition, the foam-cored structure of Christensen construction provides a natural absorption of mechanical and structural energy that significantly reduces shipboard noise transmission and vibration. STRENGTH All Christensen yachts are built with the finest composite materials available. Our cutting-edge construction process includes large-scale vacuum infusion coupled with proprietary in-house techniques to create a strength-to-weight ratio seven times stronger than steel and solid laminate. This makes all Christensen yachts true deep water, transoceanic global explorers. The superior strength of infused composite construction is shown in the photo to the right. When balanced between two points on bow and stern inferior construction methods will cause other hulls to buckle as much as eight inches, while hulls built at Christensen have a barely measurable deflection. TRANSPARENCY We believe that creative people working together with a common purpose and common goals is the way to ensure superb yachts and happy, satisfied customers. Inspired teamwork is the only way to produce a world-class boat on time and on budget. Cementing that team work is a new ownership that in 2016 introduced an industry-leading profit-sharing program among its employees with a full 1/3 of its annual operating profit going back to the workforce in the form of bonuses. The shipyard's motto is "Whatever it Takes" and every quarter an employee who best exemplifies this philosophy is singled out to receive the company's WIT Award. Shared commitment, shared values and shared profit is a winning combination at Christensen Shipyards and a guarantee of our clients will get the very best from out talented and dedicated boat builders every hour of their yacht's construction. Full transparency is also the order of the day. Clients will never have to worry about how many hours have been spent on their boats. We offer full accounting for every dollar and every man-hour spent on the boat and are committed to maintaining an equitable balance of work versus progress payments. We believe that transparency is key to a happy and successful building experience for our clients and their project management team. INNOVATION Smarter. Better. Faster. These principles guide a never-ending drive to improve both the quality of Christensen's products as well as its construction processes. The company has become a world leader in FRP vacuum-bag constriction, a process that saves time and money, and results in lighter and stronger hulls, decks and superstructures. No builder in the world spends more time in R&D than Christensen. For example, every new hull is thoroughly tested with heat guns to locate spaces where additional insulation can be added. Christensen's use of four small full synchronized and auto-managed generators-- rather than two or three large gensets-- keeps electricity from being wasted in load banks and minimized wear and tear. The newest innovations include building our own comprehensive HVAC systems, replacing copper nickel salt water piping with composite piping and incorporating easy to repair or replace compressors. Christensen's next launch, Hull 38, will feature Christensen's first truly integrated "glass bridge" a development the company believes will vastly improve the functionality and beauty of the bridge while at the same time dramatically lowering the cost and raising the reliability of the entire navigation package. METALWORK The Christensen metal department is an efficient, modern facility housing the world’s most talented metal smiths. 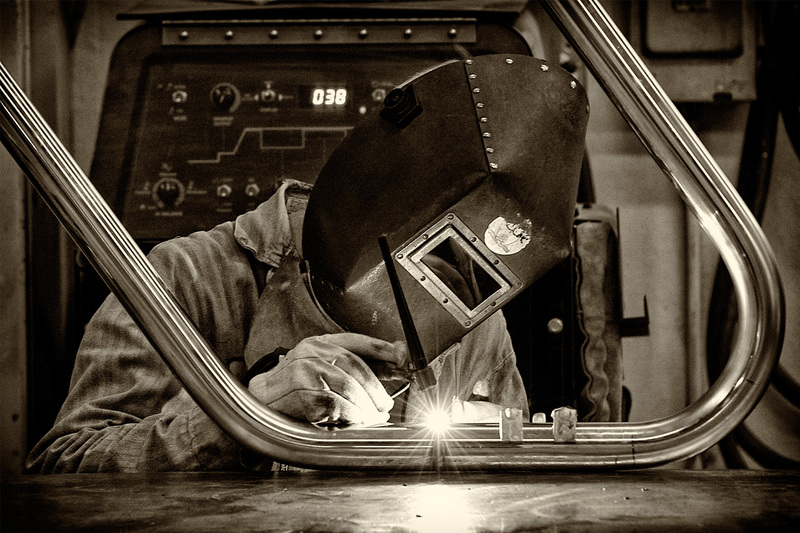 These craftsmen create handrails, stairways, anchor pockets and myriad other stainless steel parts that are fit to precision and polished to a mirror finish. Christensen prides itself in the use of only the highest-grade stainless steel stock, resulting in exceptional finishes that will last for the life of the vessel. STONEWORKChristensen sources the highest quality marble, onyx, quartz, granite and limestone from around the world. Slabs of stone are brought right to our facilities for fabrication. 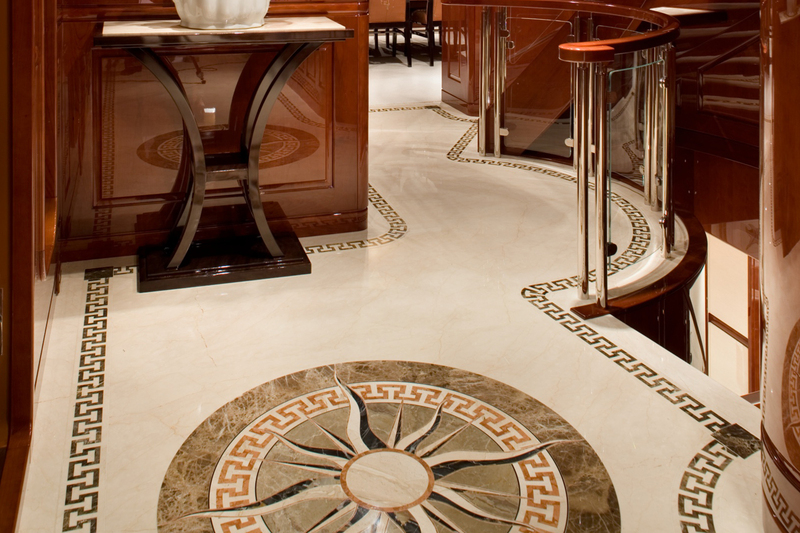 Using modern water jet cutting, sanding and edging machines, the yard’s master stone workers transform these raw materials into intricate inlaid floors, book-matched panels, and handcrafted counter tops of unsurpassed quality and beauty. WOODWORK Christensen is known worldwide for the superiority of its built-in cabinetry and woodworking finishes. 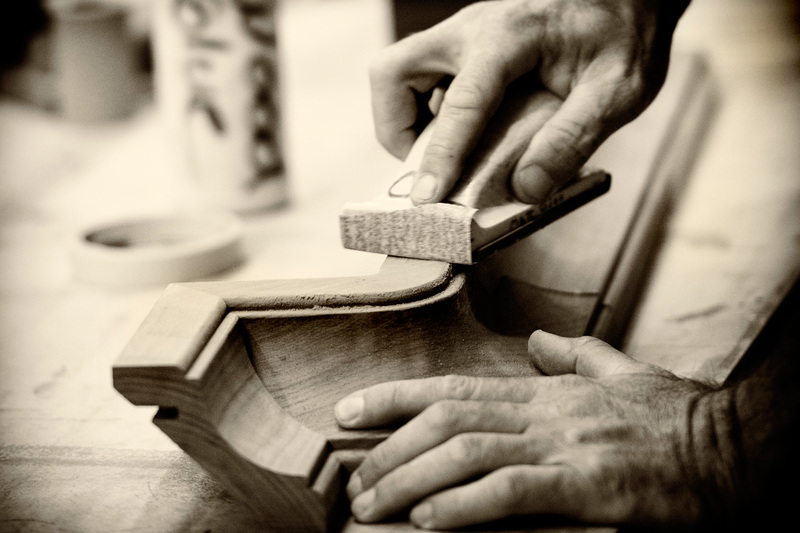 In cooperation with a client’s designer, the yard’s master woodworkers can turn virtually any species of wood into a superlative yacht interior. All of the shipyard’s cabinetry related skills including painting, varnishing, sanding and buffing takes place in modern shops with environmentally controlled finishing booths. UPHOLSTERY The quality of the upholstery work at Christensen shows in every stitch. Unlike many yards, which employ subcontractors for the many pillows, cushions, headliners and built-in furnishings, we work one-on-one with world-renowned yacht interior designers, to achieve our client’s exact wishes. ALL UNDER ONE ROOF One thing that distinguishes Christensen Shipyards is the extent of the work done by our in-house boat builders. Elegant woodwork, exquisite and elaborate stonework, impeccable stainless steel, and custom upholstery are all done onsite by our master craftsman in modern facilities, using state-of-the-art tools and machinery. By keeping as many trades as possible in-house, Christensen can maintain it's high finish standards as well as control it's production process. Using computer-driven CNC machines, Christensen can very quickly build custom components for its boats, including such built in features as exterior settees, bars, cabinets, hot tub surrounds, and Bimini tops. 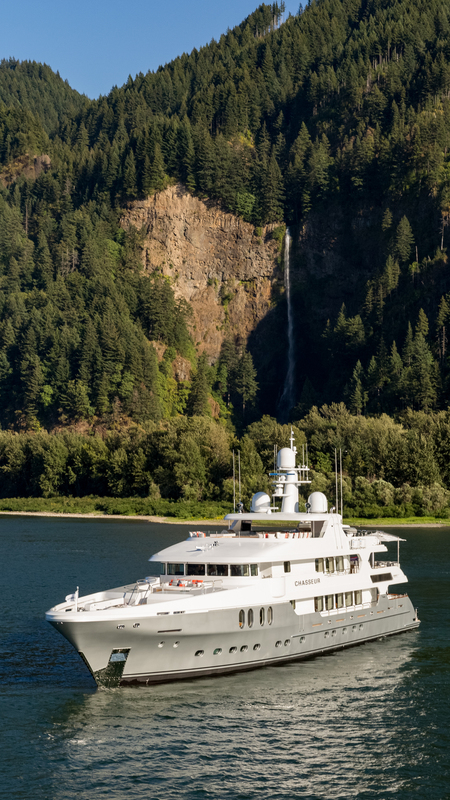 While other yards outsource trades such as cabinetry, painting, piping and electrical installation, Christensen is proud to offer all of the skills and trades necessary to build a world-class yacht under one roof. 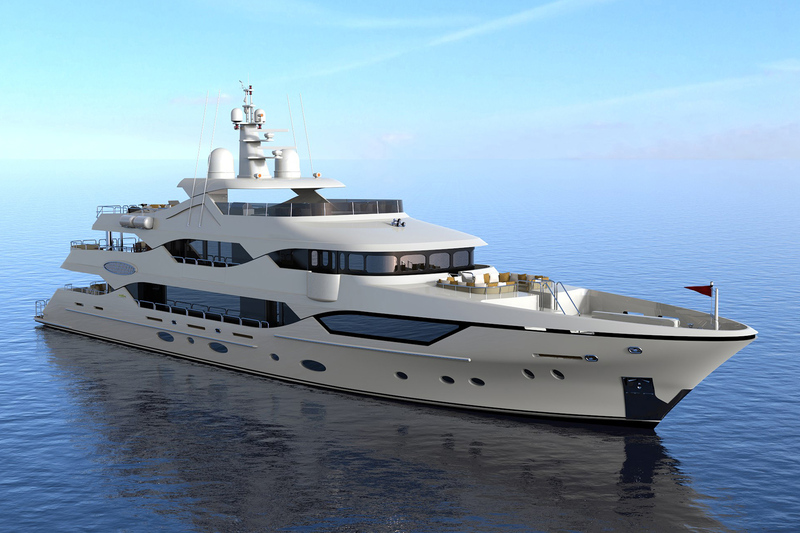 Christensen has two 50M yachts now under construction and available for purchase. 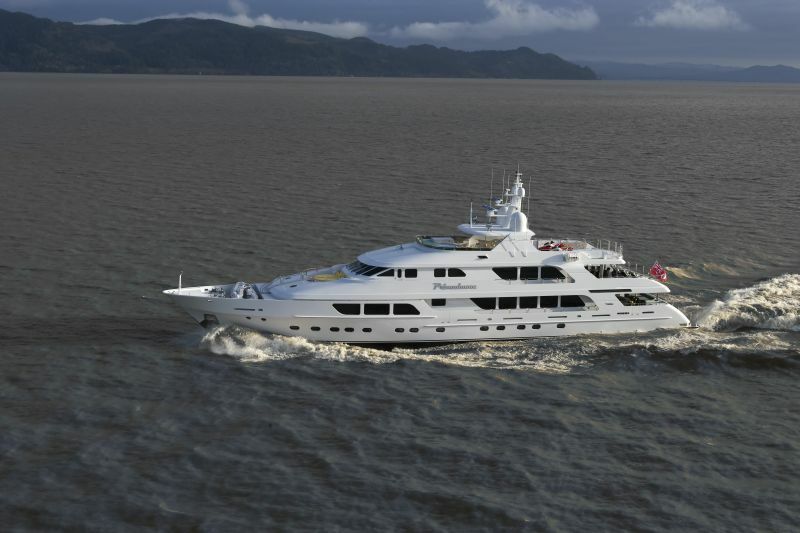 Christensen also offers the immediate availability to begin an additional hull. A Classic Christensen Yacht matching the pedigree of great yachts such as Silver Lining and D'Natalin IV. 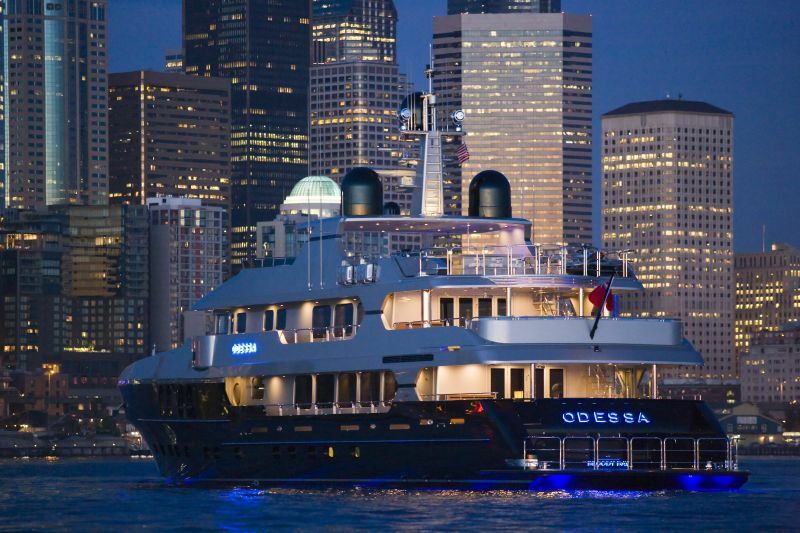 A Modern Christensen Yacht in the style of the Award Winning yachts Chasseur and Odessa. Christensen's flagship facility is located in the beautiful Pacific Northwest, in Vancouver, Washington directly across the mighty Columbia River from Portland, Oregon, minutes from the historic Pearson Field Airport KVUO, and Portland International Airport PDX. 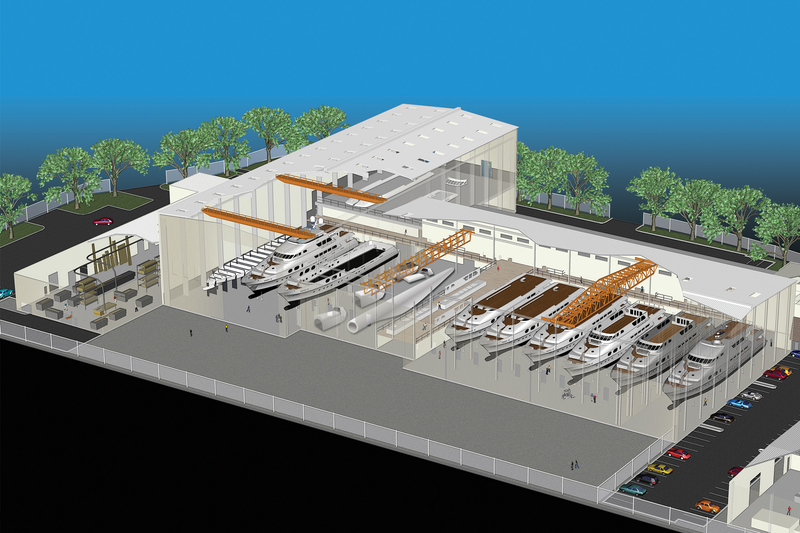 The yard consists of 180,000 square feet of climate-controlled manufacturing space and a seven-acre marina. 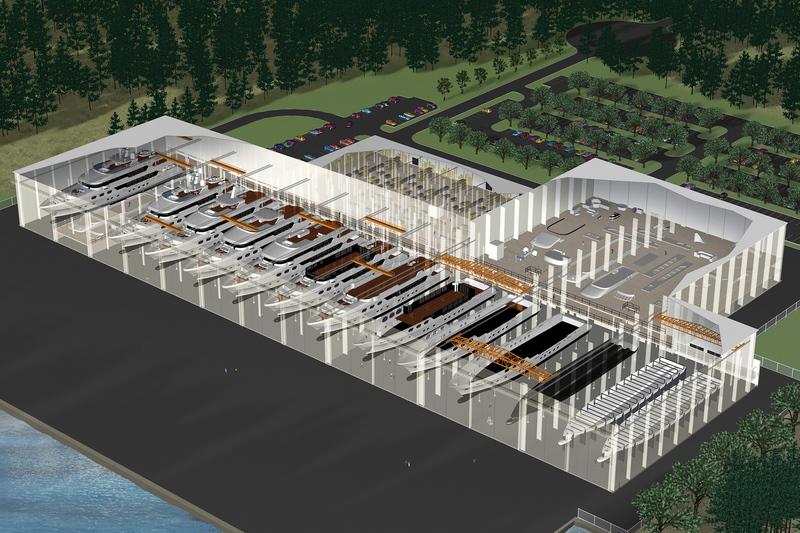 A dozen large shipbuilding bays located directly across from all major craft shops allowing the companies workforce to build with extremely high levels of efficiency. 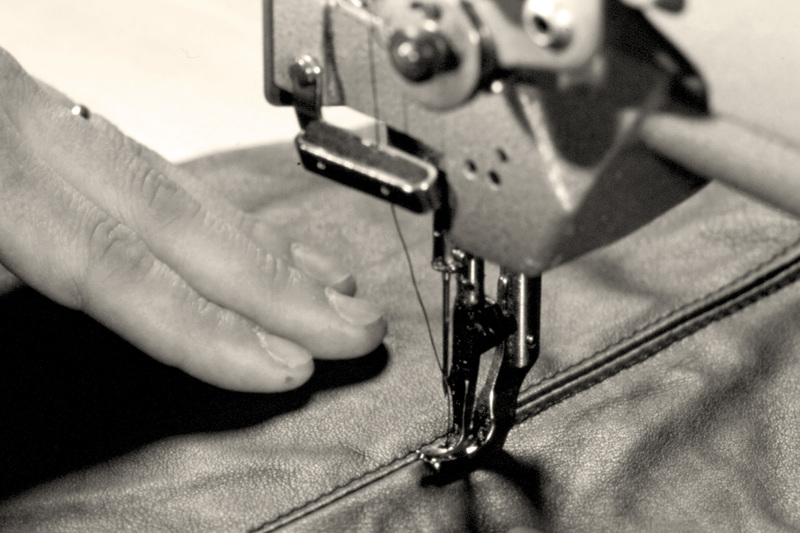 Christensen's facility houses each supporting craft and trade including state-of-the-art stone shop and a world-class upholstery and finish studio. 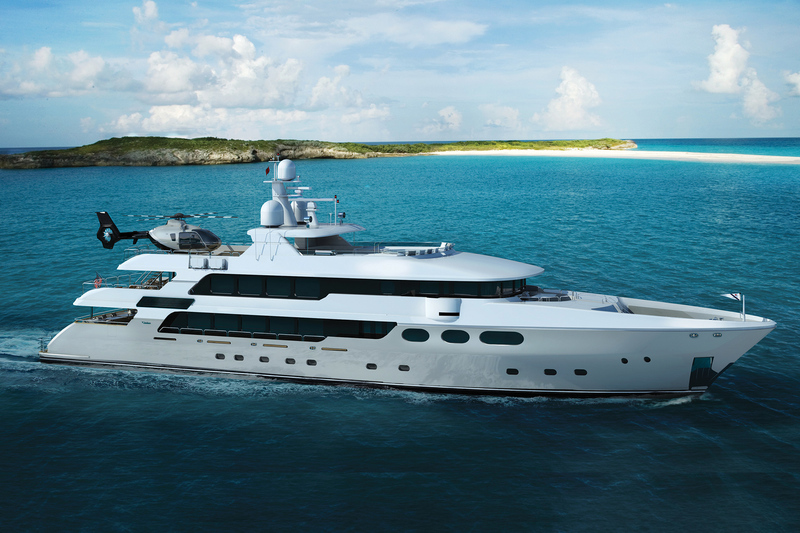 Christensen's existing shipyard allows it to build world-class yachts up to 50 meters (164 feet) in length. Nestled in beautiful eastern Tennessee, Christensen's future shipyard located in Tellico Lake, Tennessee, will consist of 55-acres with 450,000 square feet of climate-controlled manufacturing space and will offer 13 large manufacturing and assembly bays. 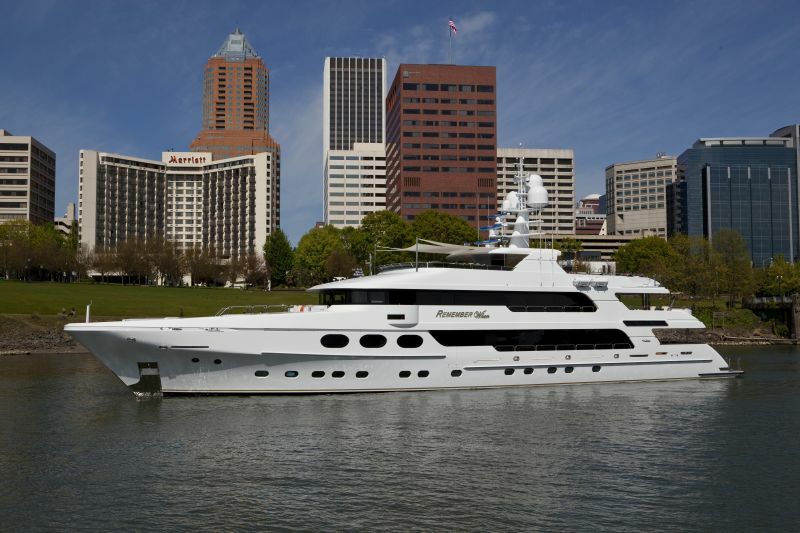 This much larger yard will allow the Christensen's portfolio to expand to include yachts up to 225 ft, while still manufacturing yachts up to 50M at the Vancouver, Washington facility. This new yard will maximize Christensen's strong stance in the global yacht market by allowing both an east coast and west coast presence for the world renowned brand. Please select the VANCOUVER, WASHINGTON tab below for all GENERAL and SALES inquiries. Please attach your resume and any supporting documents by clicking the "choose file" button below. If uploading multiple files, hold Ctrl or Cmd key while selecting files from your computer. APPLICATIONS WILL NOT BE REVIEWED UNTIL MAY.